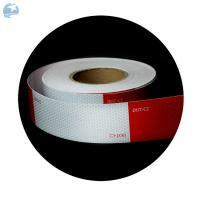 Glass bead DOT tape, as the name suggests, uses microscopic glass beads. These beads are applied to the surface within honeycomb shaped grids which then bend a light source that shines at it and reflects it back. 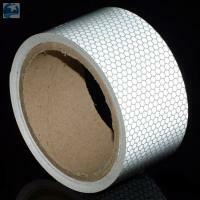 Many see glass bead reflective tape as a more economy version, which is fair. 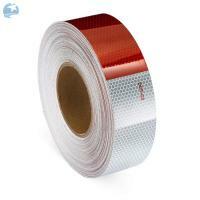 But it still meets FMVSS regulations, and it’s construction also means it is cheaper to manufacture than microprismatic DOT tape. 1. Highway and city road traffic signs, retro- reflective marking for cars, trucks, ships and other vehicles. 2. Advertising signs: sign, pop, display. 3. Personal safety supplies: bicycles, motorcycles, etc. 4. Vehicle: safety signs and decals. 6. Parking signs: all construction signs. 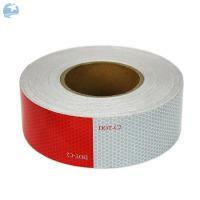 What are the detail of our ece reflective tape? 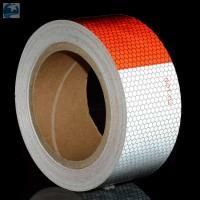 Reflective Tape offers enhanced nighttime reflective brightness to help you see objects better in the darkness. 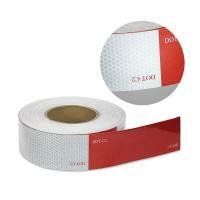 A pressure-sensitive makes applying the tape easy and it creates a secure bond to most surfaces. 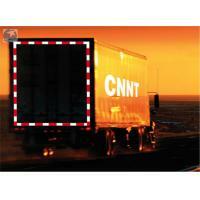 When the darkness of night obscures vision,Reflective Tape can help people spot what is important to see. When you shine light on it, the light reflects back toward the source of the light, immediately alerting people to objects up ahead. It's advisable to place tape at a height where headlights will shine on it. 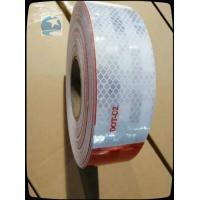 Our tape is commonly used to alert drivers about stationary objects such as fences, posts, walls, rails, mailboxes and poles. 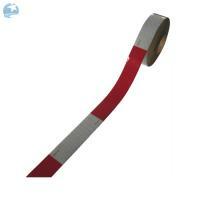 We also advise applying this tape to parked trailers, campers, RVs, boats and tractors. 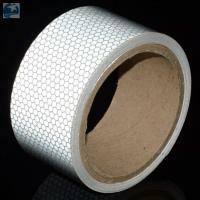 Reflective tape is also good to apply to clothing, bikes and helmets used in low light conditions. 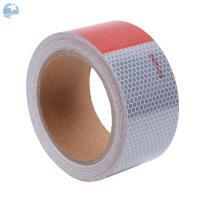 We recommend using the tape on both bike and motorcycle helmets. A seasonal use for our tape is to apply to Halloween costumes. 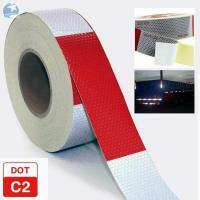 Our tape will often help make you more visible to drivers in the dark. 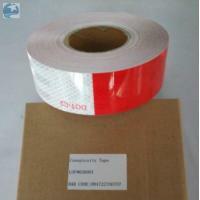 The tape conforms and adheres well over curves and contours.